We're proud of our Western North Carolina home. Shelby has produced governors, senators, beauty queens, and bluegrass kings. It also produces the most wonderful weddings you've ever seen. Every year, hundreds of brides and grooms choose our quaint little city as the place to say "I do." 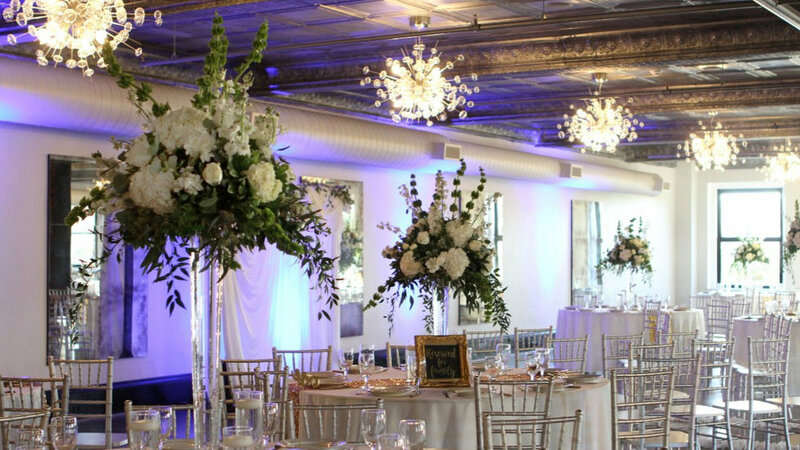 When you compare the ease of access and our prices with elegant ball room venues in Charlotte or Asheville, you'll understand part of what makes us special. If you're looking for a venue with wide open space with a modern atmosphere, Uptown Indigo might be the perfect fit for your wedding event. Now is the time to book your event because we currently have fantastic rates to help get the business started. Our years of event management experience, combined with our service-minded work ethic, mean that we will go over the top to make sure your day is as special as you imagined. Our packages include all tables, chairs, sound system, bartenders, free parking, and more. Also, we’re fully ADA compliant so your family members can easily enjoy our space. All of our couples have been so pleased that they've even agreed to talk to prospective couples and answer any questions you might have! We provide a wide selection of table linens and napkins at incredible prices. Have a lot of family coming into town? Our wedding block arrangement with the Hampton Inn provides fantastic rooms at a discounted rate! We also partner with a variety of excellent Cleveland County wedding vendors. Whatever the level of participation you want from us, know that we will bring it. We're proud of our attention to detail and the communication that we bring to the table. We are storytellers. Every good story starts with an incredible experience. Those small details on your wedding day are the ones that stay with you. That's why we put so much love and care into every corner of our historic building. Every space is an experience. We like to plan and execute wedding events that leave an impression of depth, trust and hope. You and your family can indulge in the excitement and comfort of this space, from the rooftop views to our breathtaking bathrooms!